I've long been a fan of Google's dedicated Search app on iOS. Despite the company's lackluster catalogue of iOS software, the Search app has always been polished, innovative, and well integrated with Google services. 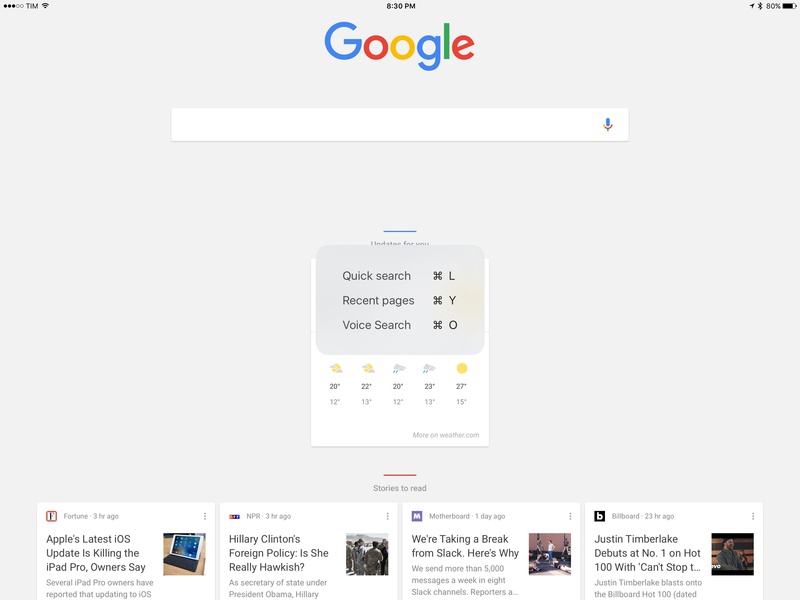 The app, for instance, supports iOS 9 multitasking and 3D Touch – the same cannot be said for Google's other productivity apps on the platform. I don't use Google Search as my go-to browser on iOS2, but I keep it installed because Google Now is terrific when traveling (aggregating emails from hotels, flight tickets, and local information) and because I like doing Google searches with it occasionally. If only Google put the same care into their other iOS apps.